Over 40 years after working on a classic Bowie album, pianist Mike Garson is revisiting it, live. Duncan Seaman reports. 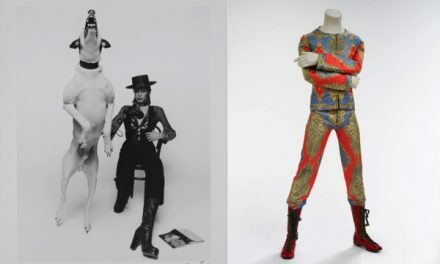 Recorded in 1973 when David Bowie and his band were at the peak of their glam rock powers, Aladdin Sane is noted not only for songs such as The Jean Genie or Panic in Detroit, or photographer Brian Duffy’s famous shot of the singer in ‘lightning bolt’ make-up, but also for the introduction of an up-and-coming piano player from New York. Mike Garson was then 27 years old when he cut his dazzling contributions to the album’s title track and the Brecht-like ballad Time. 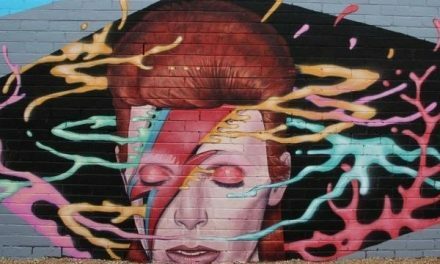 Forty-four years later – and now aged 72 – he will be performing the album in its entirety live in homage to Bowie, his long-time friend who died of cancer in 2016. Garson credits the promoter Tom Wilcox for having the idea for this tour which brings both the pianist and his involvement in the songs full circle. “It was genius because I never thought of it,” he laughs. When Bowie first hired Garson to join a touring group which included Mick Ronson, Trevor Bolder and Woody Woodmansey it appears he was looking to push his music far beyond the confines of rock ’n’ roll. “For sure, otherwise he wouldn’t have called someone as crazy as me,” Garson concurs. Over the next 30 years Garson became the musician that Bowie turned to most often. His playing can be heard on everything from Diamond Dogs and Young Americans to Black Tie, White Noise, Outside and Reality. “It was as simple as on the creative process line we both were always thinking out of the box, we were always willing to not stay in our wheelhouse, we were always searching, right or wrong,” Garson notes. “As a pianist and composer I was trained in so many styles, I forced that training because many jazz teachers wanted me to stay in jazz, many classical teachers wanted me to stay in classical and many avant garde composers wanted me to stay in the avant garde world. I loved it all from punk to pop to rock to classical to fusion and I think because I didn’t have those barriers David picked up on that. “For example between’72 and ’74 David fired five bands and I was the only one that remained. It was always a mystery to me why. Yes, we were friends, but he had a lot of friends. It was really because I had the ability to change styles. Think about it: an English rock musician who’s only played rock might not have a clue to play jazz or gospel or pop or Motown; I had all those skills just because I trained very hard so I think on a mechanical basis it was because of that. In terms of friendship that always remained but to be honest I was only hired for eight weeks and I ended up doing 1,000 concerts with him and I was probably the longest [serving band] member. Next in line would have been Carlos [Alomar] and then [Earl] Slick. Who would have known? After several years apart the pair reunited in the 1990s. 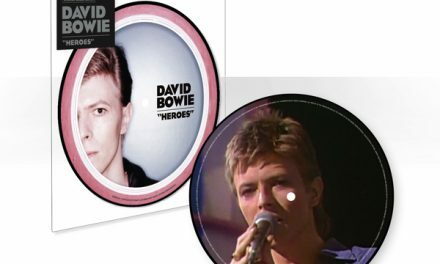 Garson believes Bowie’s records from that decade are among the most overlooked in his catalogue. “If you listen to Outside it might be his best work on an artsy level. If you listen to Disco King, if you listen to Earthling, if you listen to Battle For Britain and Dead Man Walking. The final Bowie album he worked on was Reality, in 2003. “Again David realised I worked very fast in the studio and the best way for him to get the most music out of me was to bring me in at the end,” Garson remembers. “He called me into New York, from California, for three days and I did all my parts in two [takes] or one and I went home. Garson also reveals there were other projects discussed over the years. “We talked about big band albums and jazz albums and a Broadway show. He did versions of that with different people. I think because I was living 3,000 miles from him it made it a little harder, and I had my own career and my family out here so it was harder than to use people in New York but I connected him to the young, amazing big band writer Maria Schneider, I told him about her and he ended up using her then she ended up recommending Donny McCaslin so again I was the trouble-maker by sending avant garde, great bands and musicians to him. Yet doing the Brit Awards tribute with Lorde was “very difficult”, he says. “Harder even for Lorde,” he says, “but we got through it by singing it and playing it for David. She was the perfect choice for it. We could hardly play, everyone was crying before the lights went up. Gary Oldman was talking about David, and so was Annie Lennox, and we were on a stage in the dark ready to play and we’re hearing these communications about him and we could have screwed up because it was live but somehow through the grace of God we all got through it. It was a magnificent performance and I absolutely thought that was maybe the most special thing we’d done since he passed. “I’m always searching to do something respectful and new and fresh with his music. I’ll probably commit to do that at least 50 per cent for the rest of my life because there are so many gems.